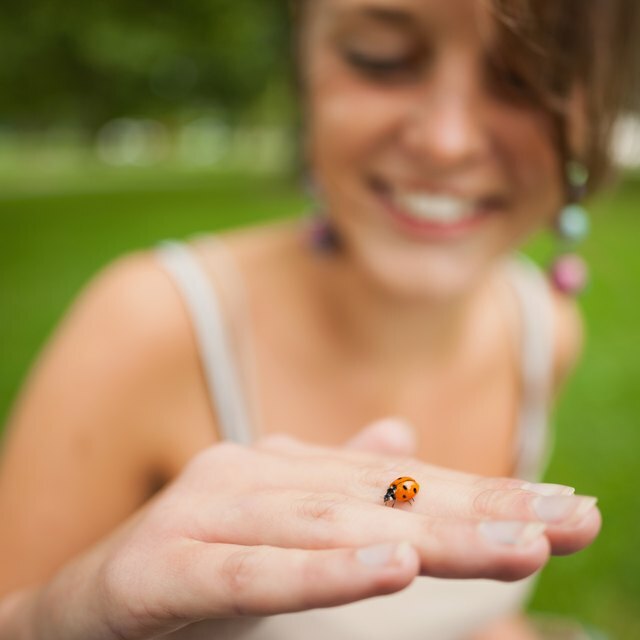 What Is the Life Span of a Ladybug? How Do Earthquakes Positively Affect the Environment? What Is the Fluid That Fills the Space Between the Nucleus & the Cell Membrane? A fictional college sports star once said that life is like a box of chocolates. But this year’s edition of March Madness taught me that life is also a lot like the NCAA Tournament. You can do your research. You can prepare. You can gather mountains of historical data to analyze trends, set probabilities and project the likeliest outcomes. You can be so, so, so well prepared. But something crazy is always going to happen. You’re always going to be thrown for a loop. At some point, all your data and pre-planning will be rendered useless and you’ll have to adjust on the fly. It’s a realization that was driven home with startling clarity this year, thanks to Sciencing. Before the tournament began, Sciencing released a treasure trove of March Madness data reaching back to 1985, the first year the tournament expanded to 64 teams. Historical outcomes of nearly every hypothetical matchup between tournament seeds were included. It was as sharp an image as possible of what might happen this time around. So I used that mother lode of data to guide my own picks this year. We got off to a good start: After the tourney’s first weekend, I had a pretty respectable 23 of 32 game-winners predicted correctly and a highly respectable 13 Sweet Sixteen teams accurately forecasted. Then? Well, then life happened. With each progressing round, my bracket was further reduced to rubble until finally I was left with zero Final Four teams accurately forecasted. At least I wasn’t alone, though. The NCAA itself said that but a minuscule 0.02 percent of brackets correctly picked this year’s Final Four of Virginia, Texas Tech, Auburn and Michigan State. Life happens to all of us, folks. Still, my own failure stung. My pick to win it all, Duke, didn’t even make the Final Four. Ouch. 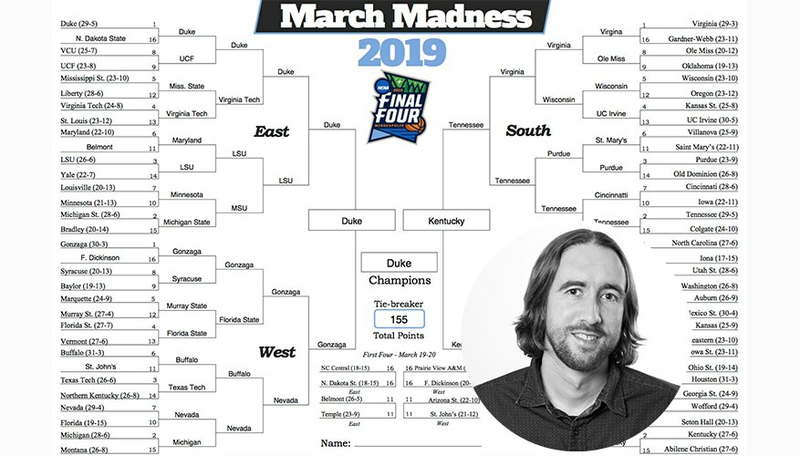 And — you might not believe this but I swear it’s true — the team that in my heart I wanted to pick to win it all, Virginia, is the team that ultimately did win it all. C’mon! Why Virginia? I love a good narrative and this was the best possible narrative. Then, on Monday night, Virginia pulled out its second nail-biting victory in three days to hoist the championship trophy. Narrative, in this case, won out. It was another reminder, another lesson, not unlike the lesson provided by my busted bracket. My busted bracket proved that can you plan and plot and analyze and evaluate all you want in life, but eventually some crazy ess-aitch-i-tee is going to happen, ess-aitch-i-tee you couldn’t have predicted with the universe’s most powerful super computer. Virginia’s win — improbable as it was coming one year after the Cavaliers’ ignominious, unprecedented, history-making loss in 2018 — proved that no amount of rational, abstract analysis can beat the serendipitous, random stories unspooled by real-world life. So, am I down on data now? Hardly. It’s fascinating and useful to study information that can give us insight about what might happen in the future. At the same time, though, I’m glad to live in a world that still has room for unpredictable magic to delight and surprise. May our world stay that way forever. Laird, Sam. "Box of Chocolates? Why Life is Actually like a March Madness Bracket." Sciencing, https://sciencing.com/box-of-chocolates-why-life-is-actually-like-a-march-madness-bracket-13718348.html. 09 April 2019.